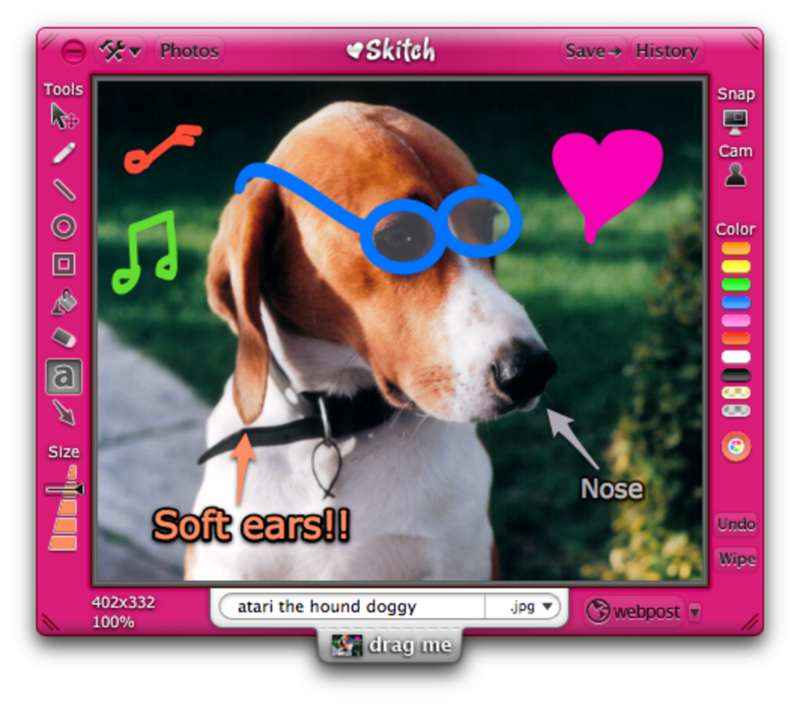 Skitch is an innovative screen capture and image sharing program, currently owned by popular note-taking software company Evernote. 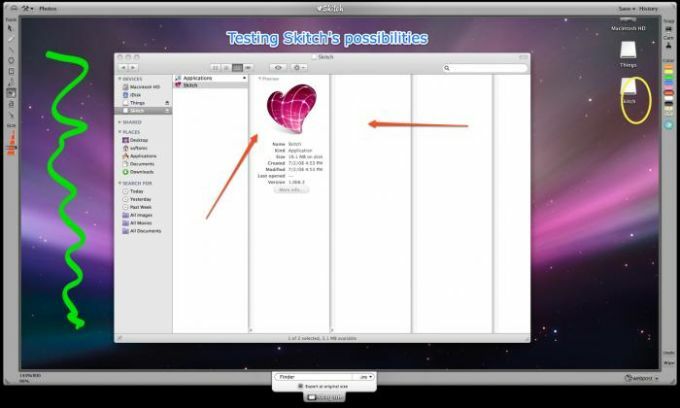 Skitch lets you take snapshots of your screen, mostly with the crosshairs, which make it a simple way of capturing exactly what you want. You can also take videos using your iSight camera. The canvas-like interface can be moved around anywhere on your screen and becomes a great focal point for working on images. Although the editing tools in Skitch are fairly limited, in that you won't find a wide choice of pens and brushes, they're fun to work with. You can apply the typical text, paint, lines, shapes and arrows in any color. The size tool is a little imprecise though. 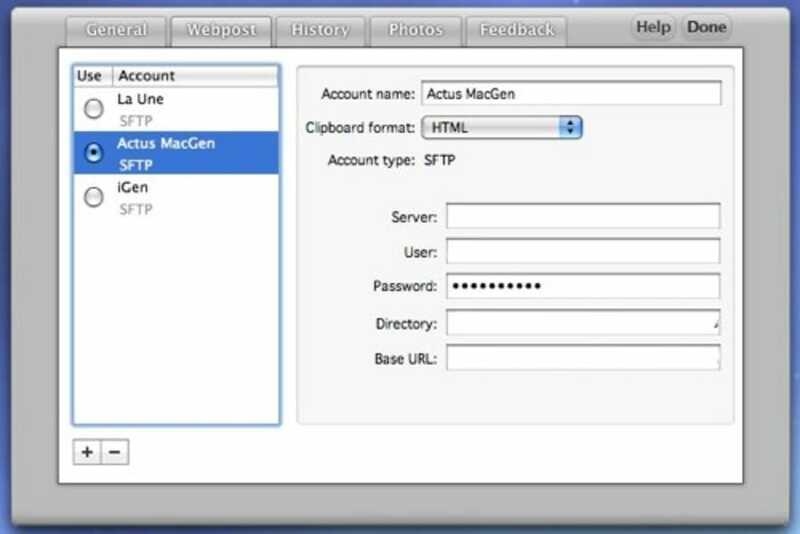 When you install Skitch you are also given a Skitch account. This can become useful once you decide to share your pictures with others. Just click the little "webpost" button on the bottom right to upload them. 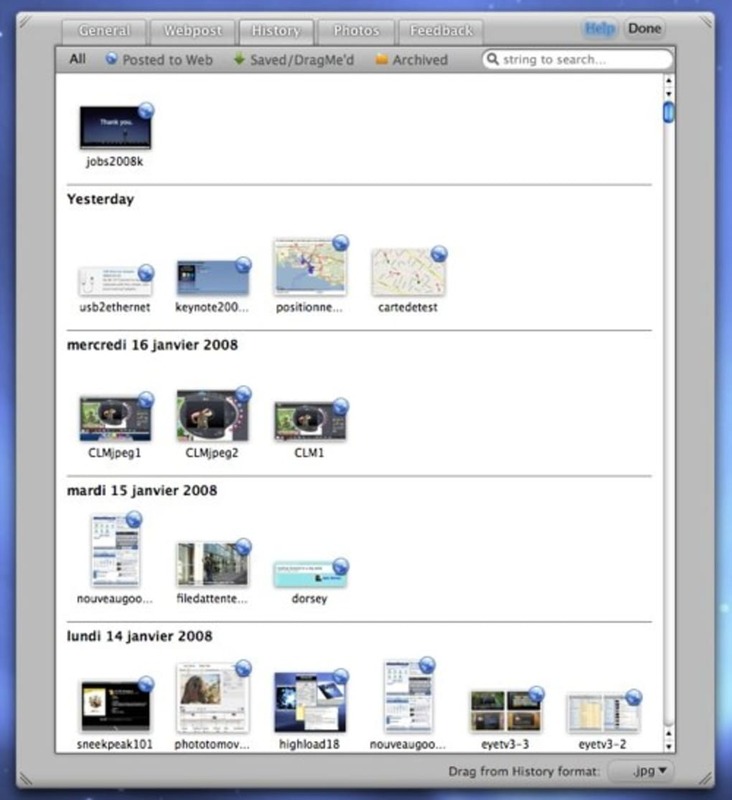 Although fairly basic, Skitch remains an innovative screen capture and image sharing program. What do you think about Skitch? Do you recommend it? Why?